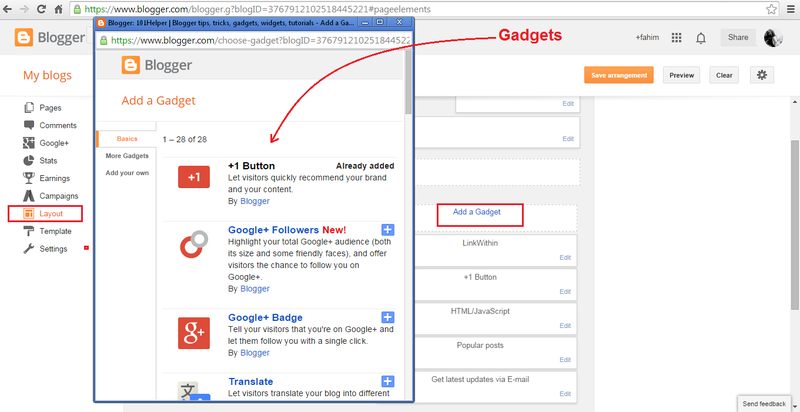 How To Add Gadgets In Blogger? (2). Go to layout and click add a gadget a pop-up window will open select a widget which you want to add but if you want to add a custom(own) widget follow step 3. (4). Click save arrangement and you are done, open your blog to see the gadget. How To Remove A Gadget In Blogger? (1). Go to your blog. (2). Click layout and click Edit below the gadget which you want to remove as shown in below image. (3). Click remove and you are done! Thanks for visiting 101Helper, follow and subscribe for latest news. Share this post with others because sharing is caring!